FFF Brooke has been a vital part of this community from the beginning, link often contributing no-nonsense, brave commentary when debates arise, and speaking her mind when others (ahem, moi) are afraid to do so. 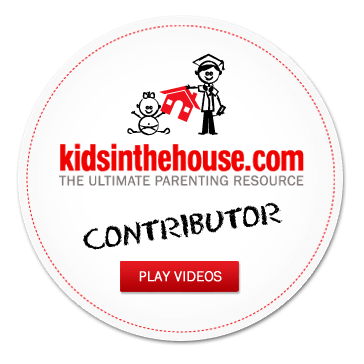 The following guest post is about her decision on how to feed any potential future kids. Enjoy! The Medela pump sits in a sleek black case on a shelf in my garage, right above the plastic tubs of organized baby clothes and next to the giant plastic bag full of bottles. That bag mostly contains the bottles we didn’t use. Avent, Adiri, Playtex. The Dr. Brown’s glass bottles are safely tucked away in a back corner of my pantry. I look at the black bag often, reminded of the promise of pumping and the realities of sitting propped up in bed, hoping for just a little more milk. I think about the moments at the end of our breastfeeding relationship when all I could get was less than an ounce, knowing that I had failed. Up until recently I didn’t know how we would feed subsequent children. I like the idea of breastfeeding, and I honestly wanted to give it another shot. But I also knew that there was no way I was hooking myself back up to that pump. My husband and I discussed combo feeding for this hypothetical child, a feeding method that worked great for my mom when I was an infant. It seemed like a good compromise. Until we realized that our journey to completing our family might not be as simple as sperm meets egg. I have Chronic Lyme Disease, and if you’ve read anything about Lyme, you might know that this is a highly contentious illness with medical opinions that span the spectrum. There are some who believe my condition doesn’t exist, that I’ve been appropriately treated. There are others, like my doctor, who believe that Lyme evades the immune system and hides in a cystic form waiting for an opportune moment to convert back into the more destructive spirochete. My doctor, along with others, believe that Chronic Lyme is never cured, but rather in a state of remission and that pregnancy can bring it out. This has all led to a very complicated series of discussions about how to complete our family, of which I will spare you the details. Suffice it to say, two of the options make breastfeeding almost impossible unless I induce lactation, which I won’t do. If I decide to carry another baby, however, I would have the option to breastfeed. Given the little that is known about Lyme, I do not believe that the risk of breastfeeding is worth any potential benefit. I already have a son raised almost exclusively on formula, and he is healthy and happy and smart. If I still have Lyme remaining in my body at that point, I could pass it through the breastmilk, and that is not a risk I believe is worth taking. I’d also like to point out to all of those who have talked so much about donor milk, we don’t have safeguards in place to test for all of the infectious agents that might be passed through human milk. The Red Cross just barred those with Chronic Fatigue from donating blood because of XMRV. Who knows how many have donated up to this point who have infected the blood supply. I believe the same can happen with milk. I am so grateful that I live in a time where formula is not only an option but a rather safe and healthy option. I already know that our children are a product of so much more than the nutrition they get in the first year of life. And my children will thrive because of formula, not in spite of it. That black bag with the Medela pump sitting in my garage that held so much promise two years ago? It’s going up on Craigslist tomorrow.